We are an architectural interior design practice based in Central London. 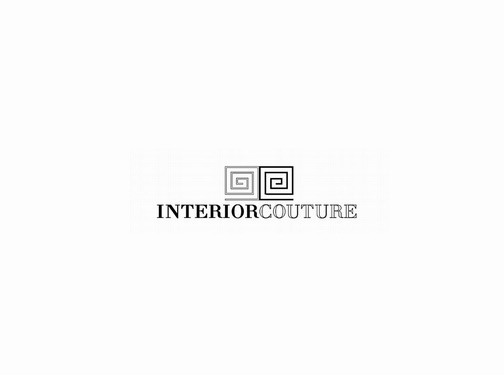 Established in 2005, with a brief to create beautiful interiors which enhance the lives of their inhabitants, we've been working for the last twelve years creating chic and interesting interiors, that are both uplifting and inspirational for our client, as well as practical, fun and easy to enjoy. Everything is focused on our individual client, so no two projects are the same. There is no "house style". There is instead an exploration of what appeals and motivates each client, how their environment can enhance their lives, what aesthetic they find inspiring or attractive, and, importantly, what practical needs they have which must be accommodated. Without taking into account those practical needs, which may range from soundproofing music rooms, to catering for dogs sitting on furniture, the design won't work properly, so they are always in mind, even if they don't appear to be front and centre. Interior design, and the construction process, should be stress-free and enjoyable. Who doesn't like seeing a wall being smashed down?! It's all part of your adventure to creating a new environment and lifestyle. So, we take control of the whole process, acting as your always available point of contact, whilst we pull together a team to make the ideas happen. Like that swan floating on the lake, furiously paddling beneath. It's a cliché to say "on time and on budget". Everyone says that. But timing is important (coming from a legal background originally, we're very tight on timings..), and budget is set from day one, with rigorous spreadsheets controlling every aspect. Indeed, to make sure everyone is happy, we insist you supply the budget right at the outset, and, if you can't, we insist on preparing one, based on what information you have given us so far. This framing of a price at the start of a project not only allows us maximum creativity in working out where we can splurge and where we must save, it's also important that everyone knows exactly what their full exposure financially is going to be, including all fees etcetera, from the very beginning. That's not to say there won't be issues from time to time, every project throws up something, but, without wishing to blow our own trumpet, we're extremely resourceful, and can sort issues out. Perhaps more importantly, have created excellent teams, who are used to encountering the unexpected, and so we're pretty sure we can cope. Keeping you informed of anything that arises is equally important, so we're always there at the end of a telephone or on site to talk to, as there's nothing worse than being left in the dark. Who are our clients? Well, they range from CEO's, to pop-stars, from TV producers, to Mums looking after children at home, from luxury international brand names, to artists in various media. We also work from time to time with developers, seeking to maximise their return on properties, so they want designers with a keen eye, creative vision, but also one eye on how to achieve best bang for buck. We're very happy to say that over the years much of our work has come from repeat business from existing clients, with whom we've shared experiences of working on sometimes several properties, as they've moved up and on, changing homes as life required, or added new properties to their portfolios. It makes for very nice friendly working relationships, which we're keen to establish with all of our clients. And the properties? Our clients' projects range from full family house refurbishments of Victorian or Georgian (even pre-Georgian!) properties in central London, to striking award winning contemporary spaces. We've also undertaken private pools and spas, city apartments, museums, art galleries, even deconsecrated churches! What do we do within these spaces? Everything, pretty much. We start from the existing plans or space, and go from there, right through to plumping the cushions (or we can stop short and leave that part to you!) The property may need revising in terms of spatial planning, or need outside experts like architects or structural engineers, landscape designers, restoration specialists, or planning experts. We have teams of all of these people, on hand, built up over the years. We plan all of the layouts, organise the work that needs to be done, supply teams of contractors, Quantity Surveyors, specialist joiners, electricians, finishers, furniture makers, curtain makers, upholsterers, passementerie makers, the lot! We project manage the whole production, so that everything falls into its allotted time space. Everything has its own normal place in the order of construction, and buying pieces from suppliers, or designing and creating our own pieces, all have their own lead times, and it all needs to be factored into a timeline seamlessly so everything happens at the right time, and one trade doesn't hold up another, costing time and money. Luckily we're very experienced at this, and now it's become like second nature. How do we charge? Transparently. First consultation is free, if the site is within the M25. Outside of that we charge travel costs only. Thereafter, it's very simple - 15% of your total expenditure. Flat rate. It's paid in instalments throughout the project, with the final instalment only being paid after the project is completed and you've signed it off. If you would like us to prepare a budget for you, we charge £100 per hour, and it takes approximately 20-30 hours. Once done, and assuming you proceed, we set these charges against your fees, to ensure you're not paying for any of the same work twice. In addition, as we're usually going to be in receipt of trade discounts from suppliers, we run a very transparent operation, and you will always know both the trade and retail prices for everything we source or specify. We pass half of our discounts to our clients, which helps them offset our fees significantly. And we're always very happy for clients to pay suppliers directly. Where there isn't a recommended retail price, because, for example, we're using a trade only supplier, who doesn't supply one, or we're making bespoke items, the supplier will normally give us a suggested mark up to the end user, and we use that as the RRP. Well, it just remains to say thank you for reading, we do hope we've piqued your interest, and would love to hear from you if you think we could help. UK (Kensington, London) based business - established in 2005 - providing interior design services. Website includes details of services provided, work examples, blog, pricing, contact form.